Cyber Security research papers discuss the continuing effort to protect electronic data and computer systems from unwanted intrusions. 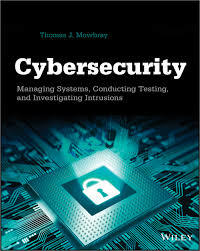 Cyber security research papers are on today's technology and how the possibility of security breeches are ever present. When writing on technology and society issues, cyber security can not be ignored. Our information systems writers will custom write a research paper for you that outlines all the problems regarding cyber security today. Cyber security is the continuing effort to protect electronic data and computer systems from unwanted intrusions. According to the United States Department of Homeland Security (DHS), cyber attacks have increased dramatically over the past decade, exposing sensitive personal and business information to theft, and disrupting vital computer systems. The ultimate goal of cyber security is to protect electronic information both in transit, and at rest. The national government plays a vital role in cyber security, both creating regulations that force businesses to conform to tighter security measures for their information, and protecting vital infrastructure, such as the nation’s power grid. Government agencies, such as the DHS, constantly monitor cyberspace for malicious activity. In this effort, the DHS operated the National Cybersecurity and Communications Integration Center (NCCIC), which coordinated collected information and frequently issues alters regarding potential cyber threats. In response to the increasing threat of cyber attack, the U.S. government passed the Cyber Security Act of 2010, designed to increase collaboration between the public and private sectors, as well as provide for higher standards and protocols for dealing with threats. Given the 2014 hack of Sony, as well as data breaches at other corporations, it is clear that cyber security continues to be a growing area of concern. What is Encryption term paper explicates the difficult technology topic of data encryption for information security. Airline Security Research Papers look at a sample of an order placed on airline security in America giving detailed information on the set up of the paper. Authentication Certificates - Authentication Certificates research papers point out that most information security technology is currently based on secure socket layers, which are designed to encrypt messages sent from the browser before sending it to the server to prevent messages from being violated during transmission. Cloud Computing Security - Cloud Computing Security research papers examine the emerging field in computer security, designed to protect data and information within the infrastructure of cloud computing. Neil Postman and Technology - Neil Postman focuses on entertainment and the cultural phenomena that have changed our society into a couch potato society with inventions such as the television, video games and other electronic amusements. Computer Viruses - Computer Viruses is a program file capable of reproducing its own special code and attaching that code to other files without the knowledge of the user. Authentication Certificates research papers point out that most information security technology is currently based on secure socket layers, which are designed to encrypt messages sent from the browser before sending it to the server to prevent messages from being violated during transmission. UNIX Systems - Research papers on the UNIX Systems delve into how these systems are essential for developing operating systems, and also discuss the system's weaknesses. Paper Masters writes custom research papers on Cyber Security and discuss the continuing effort to protect electronic data and computer systems from unwanted intrusions.